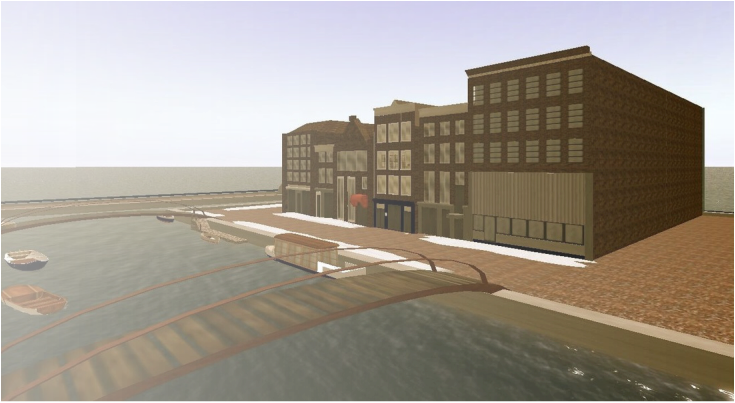 The Islands of Enlightenment Project is a virtual world hosted at the Western New York Regional Information Center (WNYRIC) and available to districts in Western New York. These "virtual" islands are computer based environments that allow students to interact using avatars. These avatars can walk, run, and in some cases even fly across the various islands. Yet more importantly, these avatars are to be used for educational endeavors. Students can work together or individually to learn about almost all content areas from history to science. The idea behind these projects is for students to learn in a new and creative way that promotes higher order thinking and in no way detracts from it. Teachers will receive 2 full days of curriculum and technology training to understand how virtual environments work, and why they are effective for student learning. Then our staff will help the teacher implement the program in their school and be able to manage student created content. The Artist, The Architect- Students will develop their own virtual works of Art or Architecture. ​​Teacher Gaming Academy- Teachers will develop their own Video Game for their students.